JUST ADDED: UTAH DIVE CAMP! 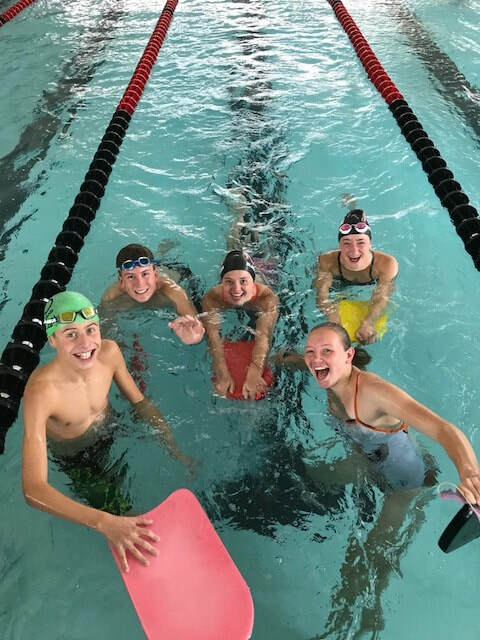 These swim camps are designed to improve the swimmers’ technique in all four strokes as well as starts and turns. Our aim is to improve the knowledge of all aspects of swimming; nutrition, strength, teamwork, mental training, race strategies, and much more. University of Utah Head Coach Joe Dykstra and Head Distance Coach Michele Lowry are leading the staff of Utah Swim Camps. The staff is decorated and well known in the swimming community with merits both internationally and nationally. The staff will focus on creating a comfortable positive environment for the campers; something we believe maximizes the learning for the swimmers. All campers will have two daily swim practices with the focus on technique. During each pool session we offer instant video feedback on all strokes, and/or starts and turns, which maximizes the learning experience. On top of that there will be informational presentations relevant to swimmers; each day will cover a different topic. 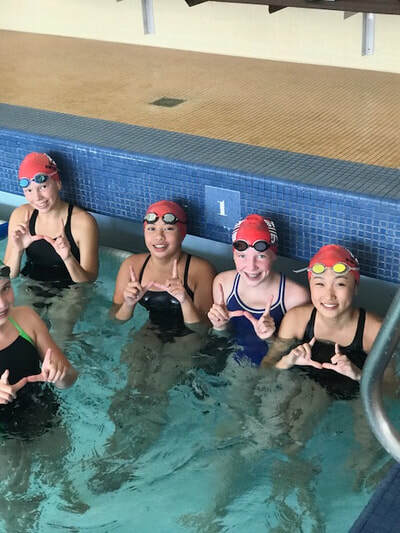 At Utah Swim Camps we also value the social aspects of the camp and we will have team activities every night allowing the campers to develop their teamwork skills while at the same time enjoying their time with other campers. The camp is open to any and all entrants. Limited to ages 8-18. Please note it is strongly recommended that participants in this camp be able to swim at least 25 yards without stopping in order to be able to fully participate and remain safe in the pool. Space is limited and a waitlist will be made available when all spots are full. Please download your camp packet here and read it over carefully. Fill out required parts and send it back to Camp Director or bring it to day of registration. This camp consists of two days of complete focus on starts and turns. We will use video review and analysis above and in the water to maximize learning and application to each camper's start and turn techniques. The campers will end each day with a 30-minute dryland session to help teach body line, posture, and power in their starts and turns. Campers are responsible for packing lunch and snacks. Each day features two in water sessions as well as video review, dryland led by the University of Utah Strength staff, educational sessions, and personalized instruction from both Utah swim coaches and athletes. We will teach, coach and go over every stroke (Fly, back, breast, and free) and everything included to have a successful race, such as starts, turns, finishes, relay starts. 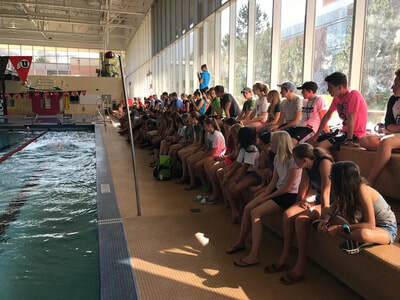 Also included will be lectures and discussions of nutrition, mental preparation, goal setting, college swimming, dryland and weight training, all provided by professionals within his or her area of expertise. We employ camp counselors with many years of experience with children of all ages. Please note that every coach and counselors goes through extensive background checks by the athletic department, the University of Utah and state of Utah. Included in camp price are t-shirts, take home packets, and drawstring bag. Led by Assistant Dive Coach, Ted Everett, campers will have a customize camp schedule catering to those who want to improve their diving skills and increase their degree of difficulty. Divers will go through dryland and board drills that will better their ability to jump more efficiently and create better body positions in the air. Ted has extensive background coaching club, high school, and college divers and will give campers the confidence their need to better their skills and become more confident on the board. Please email Ted directly (tandheverett@yahoo.com) with questions regarding camp format and structure. Michele will continue to be point of contact for registration. Dive campers will stay in same dorms as swimmers and attend the same meals. A NON-REFUNDABLE deposit of $125 is due at time of registration. Final payment is due two weeks before the start of camp. If the camper must cancel and has paid in full, refund requests for all but the deposit must be made in writing prior to the start of camp and E-mailed to mlowry@huntsman.utah.edu. If your request is honored, your refund will be in the form of a check from the University of Utah and will be sent after camp has ended. NCAA rules specify that we cannot accept refund requests once camp has started. Transportation to and from the airport can be arranged for minors. Please arrange this with Camp Director. One of the counselors will pick the camper up from the airport and take the camper back to the airport once camp is over. Please provide us and the camper with a document proving that we are allowed to transport camper and pick up and drop off camper at the airport. All University of Utah Employees will receive a 20% discount. Please email Michele Lowry for discount code (mlowry@huntsman.utah.edu).